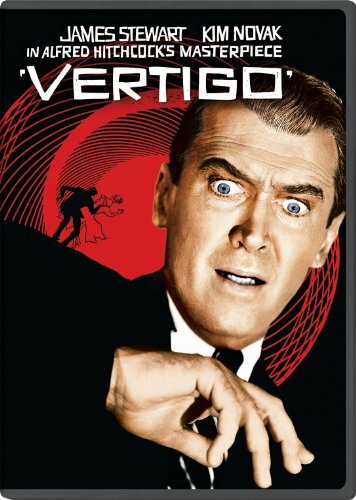 VERTIGO Now The Best Movie Ever; CITIZEN KANE’s Run At The Top Over | Birth.Movies.Death. The new Sight And Sound poll shakes things up in the world of obsessive film nerd lists. Citizen Kane has been the number one film in Sight and Sound Magazine's decennial poll since 1962. The magazine, published by the British Film Institute, is considered one of the defining film publications, and its top ten is probably the most important list of its kind. And for five decades, Citizen Kane has topped that list. But no longer. Today the new list, compiled via surveys sent to film professionals and critics, has created the first upset in a half century. Citizen Kane sits at #2, while Hitchcock's Vertigo has ascended to the top position. This is the culmination of an almost 60 year reevaluation of Hitchcock's masterpiece. The film opened well enough, to okay reviews (most complaining that the movie was a little slow), but only received technical Oscar nominations. Over the years the estimation of the film slowly grew, partially because of changing attitudes towards Hitchcock and partially because the director himself withdrew the film from circulation in 1973. It's nine years after that, 1982, when Vertigo first appears in the Sight and Sound poll - at number 7. Each poll sees it leapfrogging up the list - #4 in 1992, #2 in 2002 - until this year, when it finally overtook Kane. That wasn't totally unexpected; as Kane ages its status as the best has been eroding. Meanwhile the rest of the top 10 is full of other shake-ups. The Godfather and The Godfather Part II dropped from 4th place out of the top 10 altogether (The Godfather fell to 21 while The Godather Part II ended up at 31 because new rules disallowed bundling the movies), while a couple of silent films crept into the upper echelon. Most surprising, perhaps, is Man With A Movie Camera, a 1929 silent Soviet documentary. I haven't seen it, but it feels like a film that got votes for its impact (the movie pioneered a bunch of techniques) than for its actual quality. But like I said, I haven't seen it, so who knows. This year I much prefer the Director's Top 10. in 1992 Sight and Sound began polling directors, and their 2012 choices more closely mirror my own. I haven't had a really good chance to scour the full top 50 (click here for that), so I can't weigh in on the larger changes in the list. I can say it's interesting to see Wong Kar Wai's In the Mood For Love creep in at #24, making it the newest film on the list. Maybe in 50 years it'll crawl up to unseat Vertigo. Obsessive attention to genre movie detail is the name of this documentary's game. Hitchcock’s adaptations aren't quite as creepy as their source material.